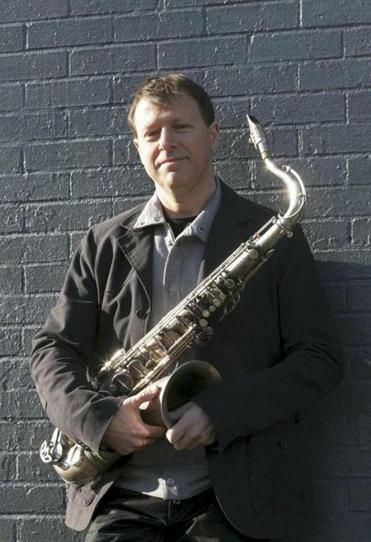 Chris Potter isn’t shy about crediting his influences — his 2001 album, “Gratitude,” comes complete with on-the-nose subtitles identifying the saxophone greats whose styles inspired each song. But for his latest album, he reached back a bit further than Sonny Rollins and Charlie Parker, choosing Homer’s “The Odyssey” as inspiration; each song takes its cue from a character or descriptive phrase in that epic poem of exile and return. Yet “The Sirens,” released earlier this year, is no thorny thesis set to music; the Homeric conceit just offered a musical organizing principle, Potter explains on the phone from his home in New York. The compositions — airy and atmospheric, but possessed with a sense of forward motion — flowed from him over the course of two inspired weeks. He’ll feature songs from the album in a quartet performance at Regattabar on Thursday, alongside double bassist Larry Grenadier, drummer Nate Smith, and David Virelles, whose prepared piano, celeste, and harmonium add much to the record’s textures. Potter, 42, first emerged on the scene as a teenage wunderkind in the band of trumpeter Red Rodney, a first-generation bebopper with credits in Parker’s quintet. It was an apt apprenticeship. Potter’s style on tenor sax is both rooted in bebop fundamentals and considered one of the most original among his generation of players. A generous collaborator, he’s recorded notable sideman work in Pat Metheny and trumpeter Dave Douglas’s groups, among others. His electric group Underground explores some more fusion-minded territory, and he’s written for big band and orchestra environments as well. The new record is his first as a leader for influential German label ECM. Potter was attracted to his source material by its combination of mythic themes and very human stakes. It’s easy to find a connection there, he says, whether you’re a professional musician out on the road for long spells, or simply working toward a goal closer to home. “It doesn’t feel like a foregone conclusion that Odysseus is going to make it home. There are all these things that could have happened, and he would have lost his way and that would be it. I think that’s something that we all can relate to. There’s a million ways to get lost. And if you manage not to get lost, that in itself is kind of a heroic feat,” he opines. The improv in “Wayfinder,” a portrait of Odysseus, has a searching, carefully exploratory manner evocative of the hero’s 20-year journey and long-delayed efforts to return home. The album has a few touches of the more literal sort, like the martial tilt to a bass line in “Stranger at the Gate” suggesting the bearing of a soldier, but it is mostly a series of mood poems inspired by Homer’s original. ECM founder Manfred Eicher, who produced “The Sirens,” says he wanted Potter to lead a session for him after listening to his work in the late drummer Paul Motian’s band. Potter likens that process to having conversations with a range of different people. “You might wind up bringing up different ideas or expressing them in a different way depending on who you’re talking to and what the subject is. But I don’t really feel like I should play in a particular bag given what the project is. It’s more about finding out how my voice can work in different settings,” he says. With the current project, his quest continues — taking inspiration from the greats who came before, but filtering that into a wholly original statement.